Barbara Sirmans, former director of the Birmingham Public Library, discusses the opportunities and challenges of being the first black library director in Birmingham and how life prepared her to meet accompanying obstacles and deterrents. 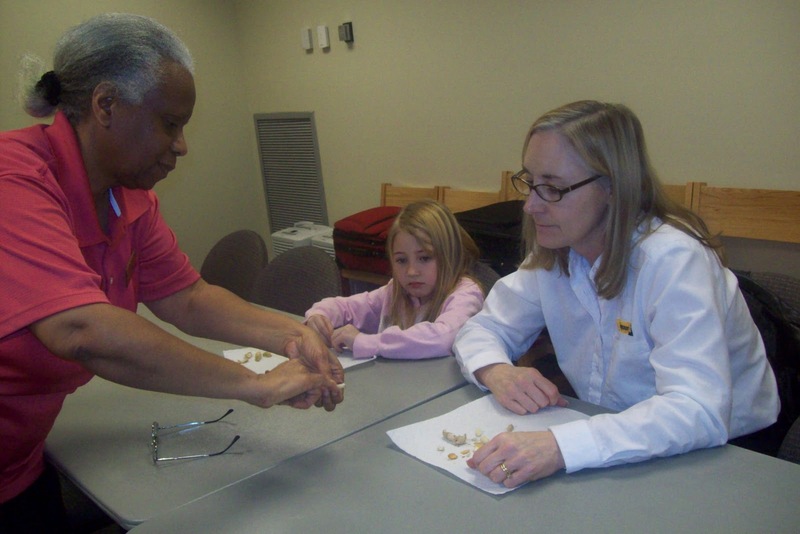 Recently retired as director, Mrs. Sirmans remains an active part of the library community as a member of the Friends of the Library and continues her journey as a library advocate. On Tuesday, February 22nd several of the Birmingham Public Libraries young patrons participated in Art Kids, an art program geared to enhance literacy development. Students were introduces to the materials and tools used in Asian Brush Art Painting. 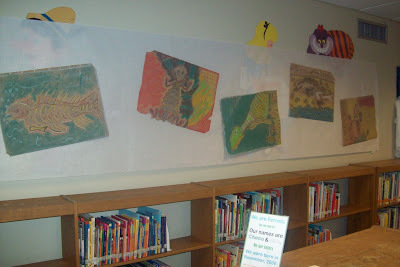 They looked at various Asian art works in brush and ink painting and learned that different strokes create different shades, shapes, textures, and appearances. They also learned that Asian artwork, unlike Western artwork, emphasizes the aesthetic, simplicity, and beauty of using simple materials to create complex artworks. Students learned the basics of creating ink from the ink stone or tempura paint and the basics of brush strokes, as demonstrated by Farrah Ferguson, the instructor. After practicing the strokes, the students created their own artwork. Art Kids believes that children are better prepared and more motivated when any aspect of the arts is incorporated with literacy learning. They provide children tools to better communicate their ideas, tap into their creativity and imagination, and obtain a better grasp and appreciation of stories. It is through these experiences that children are allowed to create, communicate, and relate to the stories and each other across cultural and socioeconomic barriers. 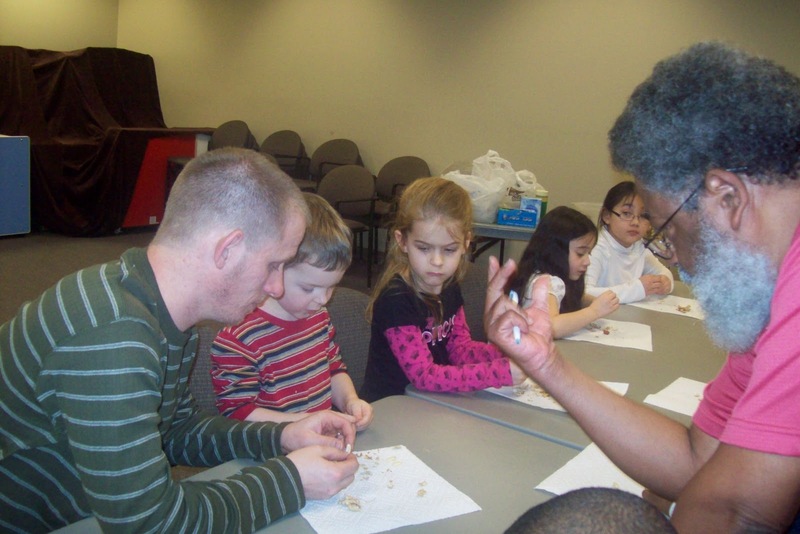 Instructor, Farrah Ferguson is an outreach storyteller and a staff member of the Birmingham Public Library, based in the Springville Road Library. 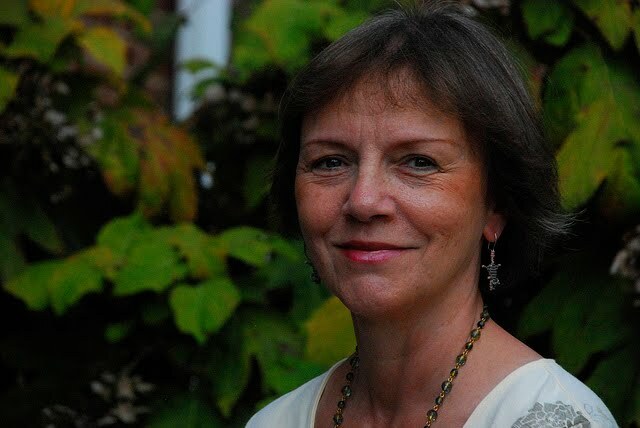 She has worked with children and youth for almost 15 years, using drama and art for character-building projects. This was an Arts After School program funded by a Birmingham Board of Education At Risk Grant. Our next Arts After School program will be a school theater program by Ms. Cass on Monday, April 11th at 3:30pm. You are climbing a long, winding staircase in a dark, foreboding castle. You come to a room, but the door is closed. Do you dare enter? You boldly decide to take a look inside and there, on a shelf, in the corner, you find a glass jar with a tiny object inside. What does this jar contain? On closer inspection, to your horror, you discover that, suspended in a clear liquid, is a tiny heart. Well, the mystery of this heart began in Paris over two hundred years ago. . . But, let's start our journey in Brooklyn, the home of Andi Alpers, where a secret becomes an obsession. Andi Alpers is very troubled over her brother Truman's death. She's angry about her father leaving and her mother's subsequent nervous breakdown. Andi's hanging out with the wrong crowd and performing poorly in school. She's a gifted musician but will soon be expelled from Brooklyn's prestigious private school, St. Anselm. Her father intervenes and requests that she accompany him back to Paris. He hopes that she will be able to work on her senior thesis and graduate with grades that will earn her a place in an Ivy League University. Andi's studying Malherbeau, a brilliant music composer, and his influence on modern music. While in Paris, she finds a journal that once belonged to Alexandrine Paradis, a young girl who dreamed of performing on stage. Although these girls are two centuries apart, their connection becomes an obsession. As Andi reads the antique pages, she discovers the power of words and her link to the past. 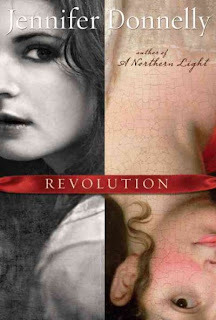 Revolution is an interesting blend of history and music, as well as an unforgettable story of love, loss, and life. Through these pages, you will take a journey through the streets of Paris and tour the underground catacombs. There are references to popular music groups throughout, as well as music influences. Did you know that music by Radiohead, as well as other current groups was influenced by Bach? Donnelly makes history exciting and if you don't think you like history, just get started reading this book and think again! Local author Ramey Channell was an imaginative child, painting and writing stories and poetry at an early age. Her first poem was published shortly after she graduated from high school, and since then she has won numerous awards for her creative writing. Her latest book, Sweet Music on Moonlight Ridge—a fictional account of a young girl named Lily Claire and her cousin,Willie T.—was inspired by her childhood experiences growing up on Dunnavant Mountain and in Leeds, Alabama. “My cousin and I lived and played like wild children of the woods, and we never imagined that there was any life or any home more desirable than our own,” says Channell. Sweet Music on Moonlight Ridge has been entered in the competition for a Pulitzer Prize award. Channell will visit the Springville Road Regional Library on March 27, 2011 at 3:00 p.m. to talk about this magical family tale. Ms. Ann Mollengarden, Education Coordinator for the Birmingham Holocaust Education Committee and the Alabama Holocaust Commission, will speak about her recent trip to Germany and Poland with the Jewish Foundation for the Righteous, in which she traced the evolution of Nazism and its genocidal policies, and had the privilege of meeting over fifty rescuers. Wednesday, March 2, noon. On September 15, 1963, a Klan-planted bomb went off in the 16th Street Baptist Church in Birmingham, Alabama. Fourteen-year-old Carolyn Maull was just a few feet away when the bomb exploded, killing four of her friends in the girls’ rest room she had just exited. It was one of the seminal moments in the Civil Rights movement, a sad day in American history . . . and the turning point in a young girl’s life. 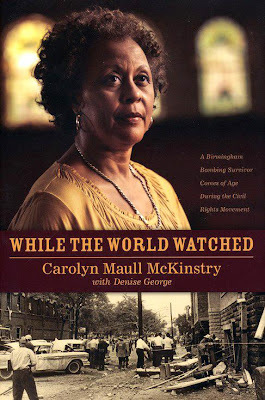 While the World Watched is a poignant and gripping eyewitness account of life in the Jim Crow South—from the bombings, riots, and assassinations to the historic marches and triumphs that characterized the Civil Rights movement. A uniquely moving exploration of how racial relations have evolved over the past five decades, While the World Watched is an incredible testament to how far we’ve come and how far we have yet to go. Sunday, March 6, 2011, 4:00 - 6:00 p.m.
Books available for purchase at the program from The Amen Book corner in Pelham. "Aboriginal Art" from Huffman High School students is displayed in the Youth Department at Springville Road Branch. Birmingham Public Library has once again received the National Endowment for the Humanities (NEH) We the People Bookshelf award. This year's Bookshelf is entitled, "A More Perfect Union." As the American people begin observing the 150th anniversary of the Civil War, NEH seeks to promote reflection among young people on the idea of the United States as a “union.” Our Constitution, the Preamble proclaims, was intended to “form a more perfect union.” Since 1776 our motto has been E Pluribus Unum—“Out of many, one.” In 1861, as President Abraham Lincoln considered his response to secessionist states, he declared his “paramount object” to be to “save the Union.” What is the nature of the “union” that the Founders formed and Lincoln sought to save? In what ways is America a One as well as a Many? With the ratification of the U.S. Constitution and the Union victory in the Civil War, is the American union complete and perfect? What role have subsequent generations played, and what we might envision today to continue our perfect union? 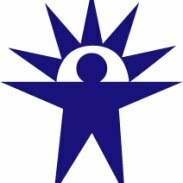 “A More Perfect Union” is the seventh program sponsored by the We the People Bookshelf National Endowment for the Humanities. It has been distributed to 4,000 school (K-12) and public libraries. 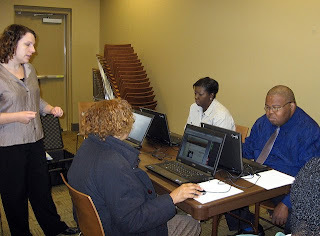 The National Endowment for the Humanities is offers this program in cooperation with the American Library Association. (Note, peanuts are used in the program). The OverDrive Media Console for iPad/iPhone v2.2 has been released, and it will optimize the eBook reading and OverDrive library browsing experience by utilizing the full iPad screen. Additionally, the app for iOs devices—including iPhone and iPod touch—now supports landscape and portrait orientation, and a new calendar icon displays the number of days remaining until the title expires. OverDrive's app for iPad gives users wireless access to their library's EPUB eBook and MP3 audiobook catalog without a PC. Users can find their library using the app's "Get Books" feature, then browse for titles, check out with a valid library card, and download directly to the iPad. 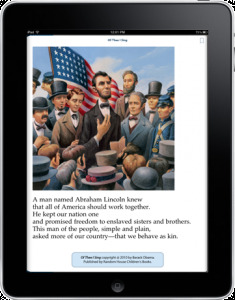 Brightness and text-size controls allow them to customize their eBook reading experience. 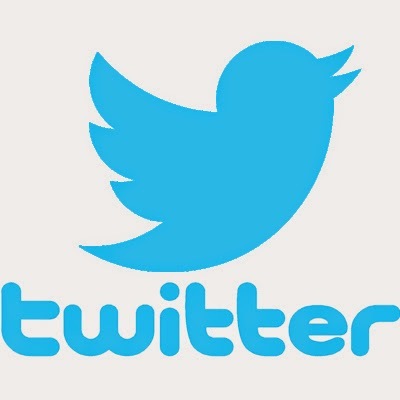 Users can also create bookmarks and resume from the last point accessed. The eBook and audiobook titles from the library automatically expire in the app, so there is never a late fee. OverDrive provides digital distribution services for more than 13,000 libraries, retailers, and schools worldwide with support for Windows®, Mac®, iPod®, iPhone, iPad, Sony® Reader, NOOK™, Android, and BlackBerry®. Children dress in their royal robes during the African-American Heritage theme story-time program at Springville Road Wednesday, February 16. Winfiled and Elinor Burks from the Ujima Math & Science Initiative offered hands-on science experiments based on the work of Dr. George Washington Carver, Wednesday, February 9 at the Springville Road Branch. 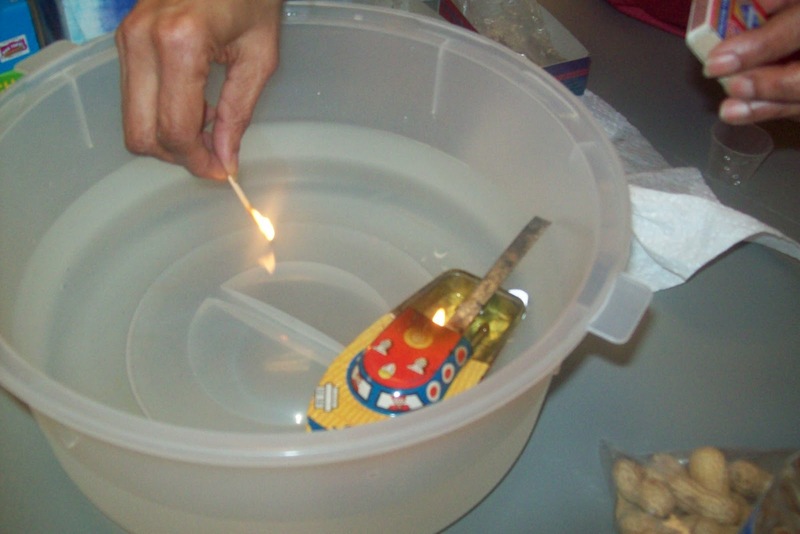 Children recreated the science of an American genius. The program was part of the "We the People" initiative. Barbara Sirmans, former director of the Birmingham Public Library, will discuss the opportunities and challenges of being the first black library director in Birmingham and how life prepared her to meet accompanying obstacles and deterrents. Recently retired as director, Mrs. Sirmans remains an active part of the library community as a member of the Friends of the Library and continues her journey as a library advocate. Wednesday, February 23, noon. I’m at that halfway point between birth and death—a place I’ll call middle age if I live to be 90—and I sometimes feel a need to revisit my childhood, but only the warm, fuzzy parts. Since I was nicknamed Boo Radley by my siblings because I liked to read and therefore never left the house much, this would include rereading a lot of books. Lately I’ve been thinking about Jupiter Jones, Pete Crenshaw, and Bob Andrews, teen friends who call themselves The Three Investigators, and whose motto is: "We Investigate Anything." If you’re in your thirties or forties and liked reading as a child, then you might have been lucky enough to come across these books. 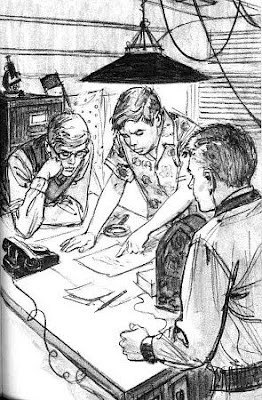 The Three Investigators Mystery Series was created by Robert Arthur Jr. in 1964. Between 1964 and 1987, there were 59 books published in the U.S.: 43 original titles; the Book of Mystery Puzzles (1982); four Find-Your-Fate books (1985-1987); and 11 titles in a spin-off series called The 3 Investigators Crimebusters (1989-1990). The first 30 titles were affiliated with Alfred Hitchcock, who was paid for name recognition and served as a mentor for the boys, offering an introduction and a conclusion to the story. He was replaced by a new mentor character named Hector Sebastian in the last 13 original books. When I was enjoying them back in the '70s, I had no idea they were so popular around the world. They have been published in more languages than any other U.S. juvenile series. They are especially popular in Germany, where the series—known as Die drei Fragezeichen, or The Three Question Marks—lives on with dozens of new titles and several spin-off series. Many of these have been translated into English. The Germans also recorded taped radio dramas of the stories, turning the actors who read them into rock stars who packed stadiums when they toured. My box of T3I hardbacks sat in my mother's attic for decades, until someone decided they were junk and discarded them. This bums me out because I would have loved to pass them down to my son. 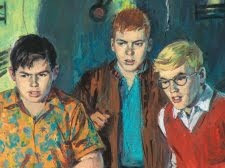 The Three Investigators are: 1) Jupiter "Jupe" Jones - a pudgy boy with an affinity for Hawaiian shirts who heads up the firm and has a brilliant mind for observation and deduction. He's precise and intelligent and doesn't have a modest bone in his body. Jupiter lives with his A unt Mathilda and Uncle Titus near their family business, the Jones Salvage Yard, where many a mystery has been solved at their junkyard club house or using cast offs from his uncle's business. 2) Peter "Pete" Crenshaw - an athlete who doesn't jump into danger on a whim, but is always there to offer some brawn when he needs to. His father is an f/x man in the movie business who comes in handy when trying to play a trick on a culprit. Pete's good at stakeouts and shadowing people. 3) Robert "Bob" Andrews - a studious boy with glasses who's great at, you guessed it, researching clues in dusty libraries. In the early books he's hampered by a leg brace from a tumble down a hill, until it's removed at the end of The Whispering Mummy. Along with these three, there is a large cast of colorful characters, including some great hometown villains that make trouble for the boys. Skinny Norris, a boy near their own age, especially enjoys throwing a wrench into their investigations. There is so much wonderful history to this series, and if you'd like to learn more, check out the fan sites T3I Reader's Site , The Three Investigators U.S. Editions Collectors Site, and The Life and Art of Harry Kane, the first of many illustrators to bring the boys and their world to life. It is believed that boys read fewer books than girls, and the way to get boys interested in reading is to hand them adventure books likely to pique their interest, such as Holes by Louis Sachar, Hatchet by Gary Paulsen, and Ender's Game by Orson Scott Card. And I would definitely add The Three Investigators to that list—it's good, clean fun where the boys aren't up to anything they shouldn't be except solving mysteries. Think you know everything about Birmingham's African American history. 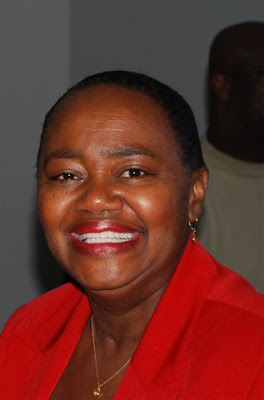 Do you know the name of the first African American person to serve on the city council? The first black law firm in Birmingham? Or the first orphan home for African American boys? Visit Bravery and Vision: Black Firsts in Birmingham to learn more about ten of Birmingham's most distinguished citizens. 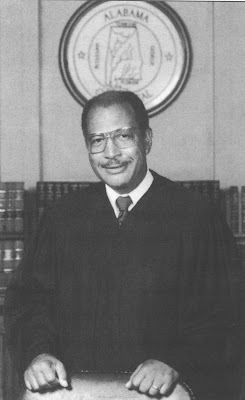 Photo: Judge Oscar William Adams Jr.
Over the weekend the New York Times launched its best sellers lists for e-book fiction and nonfiction. The Times is also adding combined print and e-book lists. The lists will be compiled from data from publishers, online retailers, and chain and independent bookstores, among other sources. It's not known if these sources will include Amazon e-book sales. E-book distributor OverDrive issues its own monthly list of "best sellers" in its Most Downloaded Audiobooks and eBooks list. 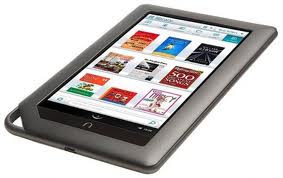 The Association of American Publishers January report revealed that e-book sales from 2010 through November were up 165.6% compared to 2009. Downloadable e-books and audiobooks provide convenient accessibility and usability. If you've been hearing about downloadables but don't know what it's all about, visit OverDrive's user-friendly website where you'll find information on how to get started. OverDrive recently added LibraryBIN, an online digital bookstore that allows you to buy e-book and audiobooks and will donate a percentage of sales to the library. So now you can checkout materials and shop at the same time. Talk about convenient! We'll see you at Avondale! It's one of my favorite times of year as the Horror Writers Association shines a spotlight on the horror genre and passes out some awards. Two of my favorite books from 2010 made the preliminary list: Joe Hill's Horns and Jeff Strand's Dweller. If you like horror even a little, you may enjoy the story about a man who wakes up after a night of drinking and discovers horns growing out of his forehead that give him the ability to make people tell him their darkest thoughts; or the story about a bullied boy named Toby who discovers a Bigfoot-type monster living in the woods behind his house and how he tenders a lifelong relationship with the creature he names Owen. For books not owned by any JCLC library, you may be able to borrow them through Interlibrary Loan. 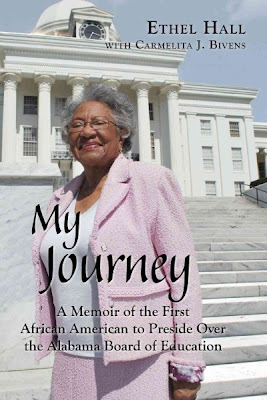 Dr. Ethel Hall, author of My Journey: A Memoir of the First African American To Preside Over the Alabama Board of Education, recounts the little “journeys” throughout her life which prepared her to become the first African American woman elected to the Alabama State Board of Education. Her experiences with racial tension, discrimination, and poverty are interspersed with portraits of the family and love which transformed her from a farmer’s daughter—determined to achieve the higher education others thought to be impossible—to a dedicated mother and educator, and even further to a statewide political leader. Wednesday, February 16, noon. Even if you love 'em, admit it: the covers just beg to be mocked. Personally, I like my romance books with a little pain and a lot of misery. So is it any surprise that my favorite romance novel of all time is Ethan Frome? Hopeless marriage to a dour party pooper; a broken pickle dish; a twisted spine: all the makings of a great romance story. But luckily everyone is not like me, and the Internet is rife with romance novel aficionados who are glad to submit their happy-ending romance titles for “best of” lists. One of the more popular romance novel websites is All About Romance: The Back Fence for Lovers and of Romance Novels. 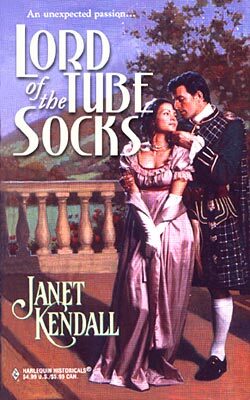 Every few years they take a member survey for the best romance novels of all time, and I’m proud to say that their 2010 Top 100 Romances Poll includes an impressive six entries for Alabama’s own Linda Howard: #23 Mr. Perfect; #31 MacKenzie’s Mountain; #47 Dream Man; #55 After the Night; # 80 Cry No More; #82 Open Season; and #89 To Die For. Of course, some of the classic romance novels made the list: Pride and Prejudice and Persuasion. As for me, when it comes to the beloved classic romances, I can never remember which of those Bronte sisters wrote what, but I'm pretty sure that Jane Eyre wrote Jane Austen...pause...right? The website The Romance Reader has its own list of the Top 100 Romance Novels. Hundreds of their readers sent in their top 20 lists, and over 1500 novels by 500 writers were nominated. On this list Howard and her Dream Man shares the #1 spot with Diana Gabaldon's Outlander. Don't forget to pick up February's BookPage publication available at your favorite Birmingham Public Library. 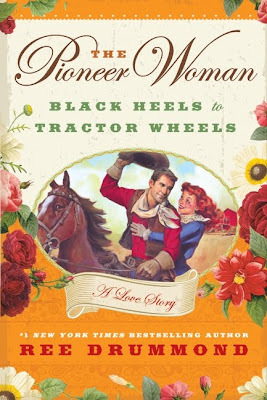 The current edition is devoted to the latest romance novels and features Ree Drummond on the cover and includes an interview with her about her new autobiography, The Pioneer Woman: Black Heels to Tractor Wheels—A Love Story. Barbara Hutto graciously accepts a "Thank You" basket from Our Lady of Lourdes Kindergarten on behalf of the Springville Road Library. The card reads: "Just to say thank you for showing us how important it is to love books." 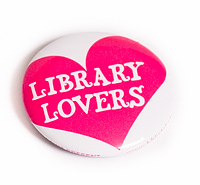 We appreciate all our "BPL Library Lovers." 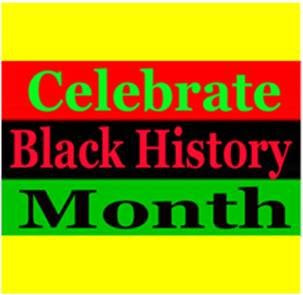 In honor of Black History Month, students from the Chorus, String Orchestra, and Jazz Combos at the Alabama School of Fine Arts will perform traditional African American scores, including "Hold On" and "Soon I Will Be Done." You bring lunch and we’ll provide fabulous music and beverages! Wednesday, February 9, noon. The step-by-step photo recipes on her blog were so popular, she compiled them in a cookbook and published The Pioneer Woman Cooks: Recipes from an Accidental Country Girl in 2009. She's been entertaining devoted fans with tidbits about her romance with the Marlboro Man and her life on the ranch for years, but now their story can be read in her new book, The Pioneer Woman: Black Heels to Tar Wheels—A Love Story (release date February 1). She says the Marlboro Man rarely reads her blog, just enough to point out mistakes she's made about farming techniques. Oh, and Ree Drummond's life is being written into a movie for Reese Witherspoon. Witherspoon in a romantic comedy? Sweet Home Oklahoma, maybe? Water for Horses? Should be interesting. Above is the final round of Birmingham Public Library’s January 2011 Bards & Brews poetry slam. The Birmingham Public Library hosts it's next Bards & Brews poetry slam on February 4 at the Central Library. Live music and sign-up begins at 6:30. The opening act is saxophonist Clarence Moorer. The Birmingham Public Library (BPL) hosts its fifth poetry slam on March 4 at the Central Library. Bards & Brews showcases both veteran slammers and first-timers. Held on the first Friday of each month, slams are emceed by poetry slam events director Brian “Voice Porter” Hawkins. Each contestant contributes $5 to the pot, and winner takes all. Southern Fried Slam rules will be observed. Craft beer will be available for sampling. You must be 18 years or older to be admitted, and 21 years or older to be served. IDs will be checked. Live music at 6:30 p.m. Call time is 7:00 p.m. Check out the Bards & Brews page on Facebook for more information. This program is made possible by grants from the Alabama State Council on the Arts and the National Endowment for the Arts. Word up, y’all!